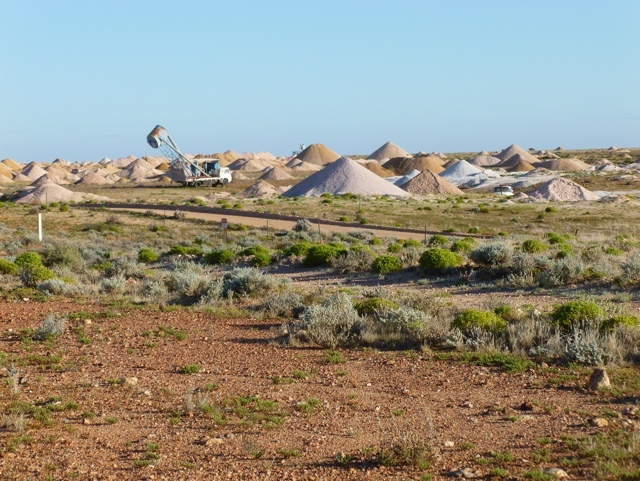 Coober Pedy was a bit of a disappointment – had a good supermarket and many places to look at opal jewelry – but otherwise a bit of a dump. There was a country ball that night and we saw a few well turned out galls dressed to the nines as we had a meal at a Greek tavern. We headed back to our motel after dinner and I retired early. Charles headed out on the prowl to check out the local talent as I slept. He had a late night and many RTD’s to fit in with the young crowd. These RTD ‘s seemed to fire his engine as when we hit the road the next morning he was riding very strongly – or maybe I am getting slower. The wind was still a factor but after about 70 Kms our route swung a little more to the north and we got a little less wind on the nose and the odd hint of help on the shoulder. 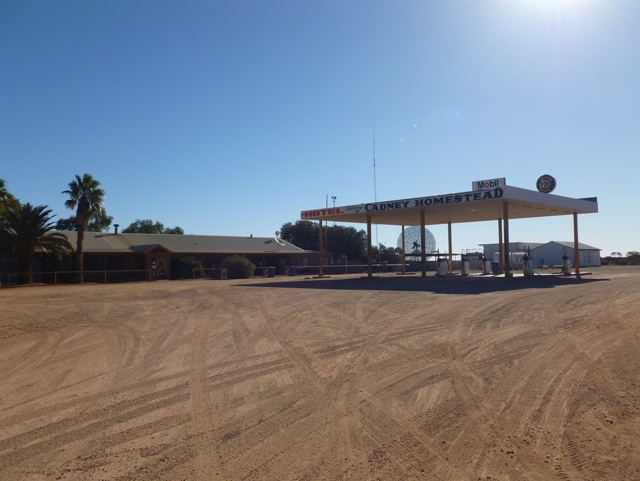 We got to Cadney by about 4 pm – so an good honest day on the road.